Goods transportation locally is highly dependent on manual trolleys. 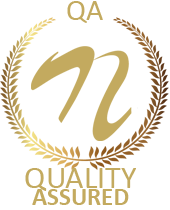 They are used in warehouses, construction sites, malls, residential relocations etc. These trolleys have a very huge limitation when it comes to stairs. They can only move on flat surfaces and moving them over a staircase is a very hectic task. 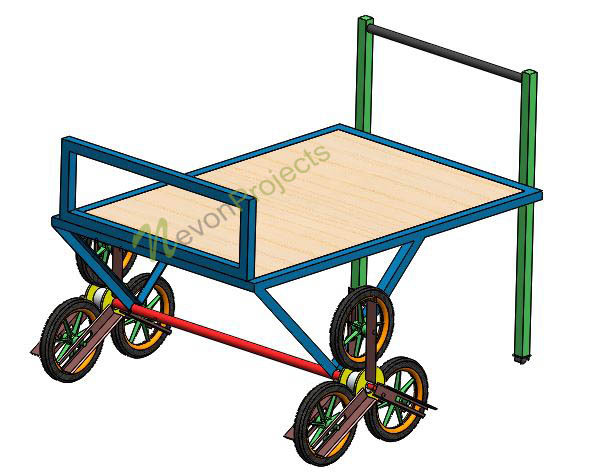 So here we propose a smartly designed staircase climbing trolley. The trolley is smartly designed to carry goods up and down on staircases as well as on flat grounds and even rough terrains. The trolley makes use of a triple interlinked wheel arrangement that allows it to do so. 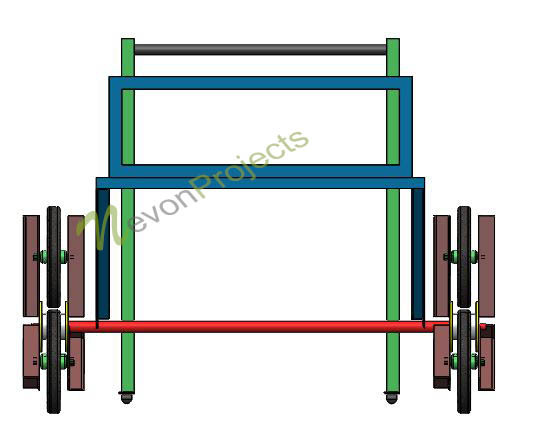 The mechanism uses a trolley with a support wheel arrangement which will be used for support when at rest and will be suspended in air while the trolley is moved by lifting it. 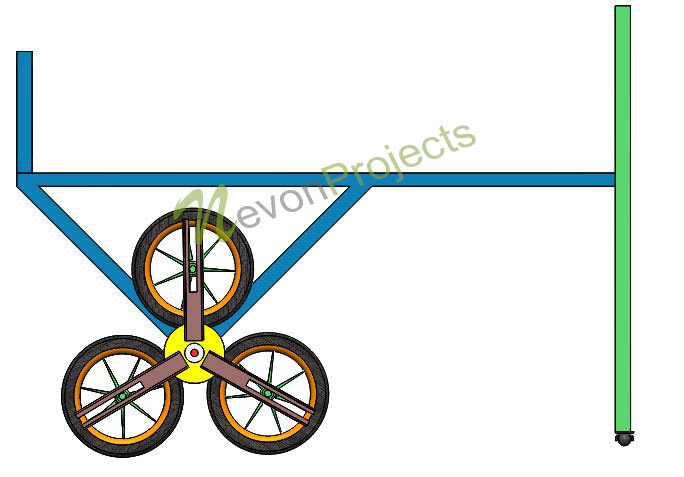 The interlinked wheel mechanism consists of 3 freely moving wheels. These wheels are connected to a connecting rod. There 3 such connecting shafts for each wheel with a main rod connecting through a free moving bearing mechanism to the three rods. This mechanism allows for efficient stair climbing functionality. This functionality allows for easy movement of goods across stair cases.